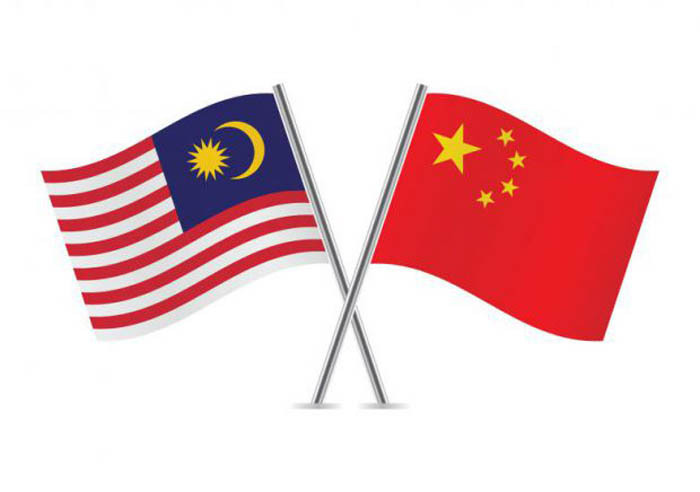 15 April, PUTRAJAYA, Malaysia – Prime Minister Mahathir Mohamad said Monday a Chinese company building a rail link across peninsula Malaysia will jointly help to manage, operate and maintain the network that will help reduce the country’s financial burden. The rail link connecting Malaysia’s west coast to eastern rural states is a key part of China’s Belt and Road infrastructure initiative. Mahathir said Monday the government chose to renegotiate the deal rather than pay compensation of 21.78 billion ringgit ($5.3 billion). He said the fact that the project cost can be reduced sharply by 21.5 billion ringgit ($5.2 billion) showed that the cost had been inflated when former Prime Minister Najib Razak’s government awarded the main contract to CCCC in 2016. The rail project will now cost 68.7 million ringgit ($16.7 million) per kilometer, down from 95.5 million ringgit ($23.2 million) previously, he said. Under the new deal, Mahathir said CCCC will form a 50:50 joint venture company with Malaysia Rail Link to provide technical support and share the operational risk. He said CCCC’s involvement as rail operator will help attract Chinese investment along the rail link corridor. CCCC has also agreed to refund part of a 3.1 billion ringgit ($753.4 million) advance payment, with 1 billion ringgit ($243 million) to be paid over the next two months, he said. Although the rail project will be shortened by 40 kilometers (24.8 miles) to 648 kilometers (402.6 miles), he said the double-track line will have 20 stations and cut through five states, instead of four previously. He said the new alignment will also mean avoiding having to tunnel through a mountain range in central Selangor state, which is the longest pure quartz dyke in the world. Mahathir said the government is still negotiating the loan amount with China’s EXIM Bank but that it will be reduced substantially and this will result in paying less in interest on the loan. He said the government is also “taking advantage of the agreement to work out the purchase of palm oil by China,” but didn’t give further details. Officials said work on the rail link could resume by next month.Mahathir’s government has axed or reviewed large-scale infrastructure projects to rein in surging national debt that it blames mostly on corruption in the previous government. Apart from the rail link, the government last year also cancelled two China-backed pipelines costing 9.3 billion ringgit ($2.3 billion) after discovering that 90 percent of the project’s costs had been paid but only 13 percent of work had been completed.